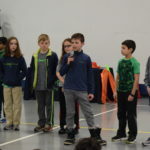 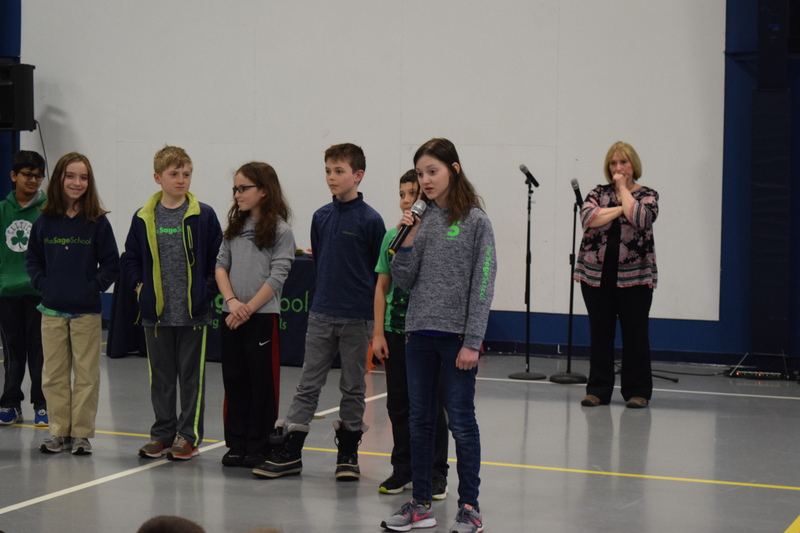 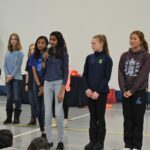 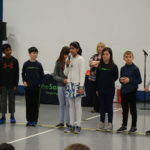 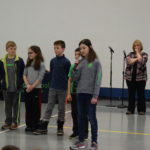 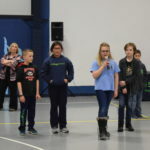 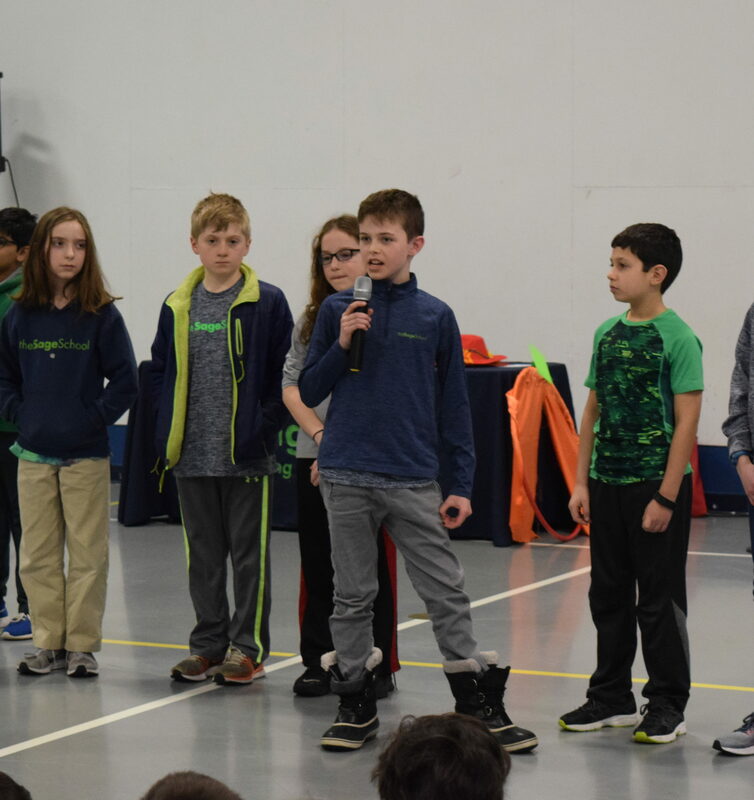 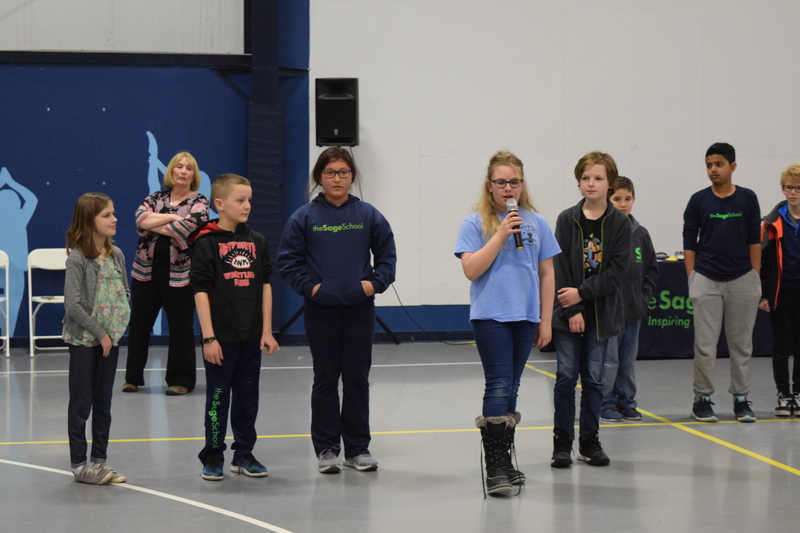 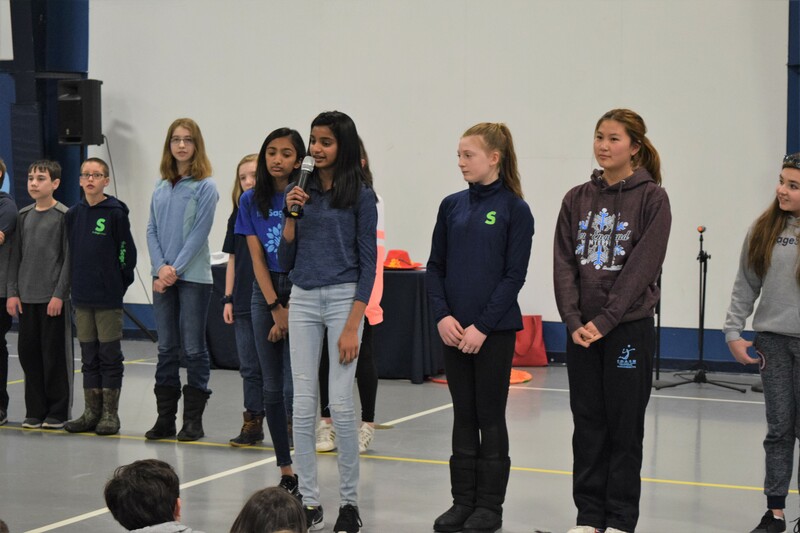 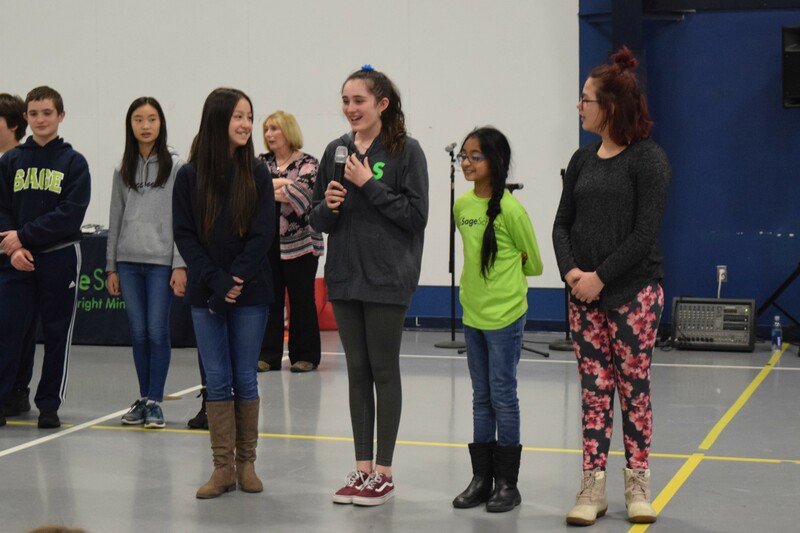 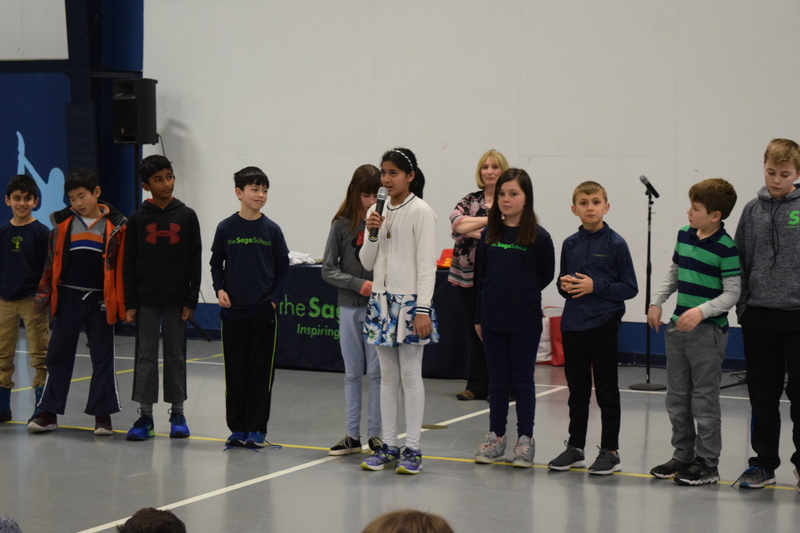 Before heading home for March Break, Sage students, from Beginners to Grade 8, took the stage in a community-wide assembly to share stories in various forms. 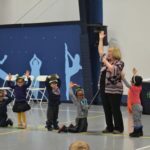 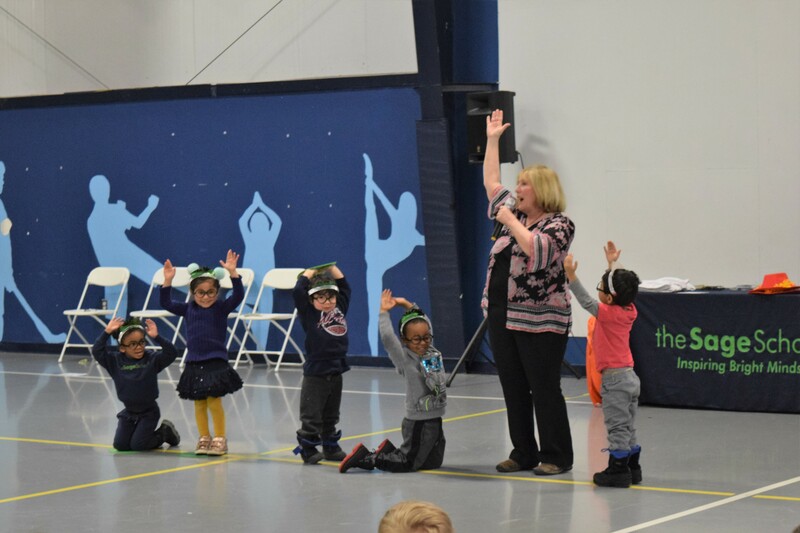 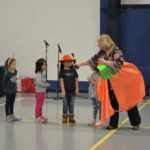 This assembly was the culmination of a four-week long residency with Andrea Lovett, a visiting artist from Young Audiences of Massachusetts. 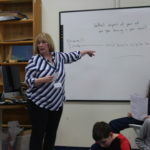 Lovett is a professional storyteller who has been sharing stories for close to 30 years. 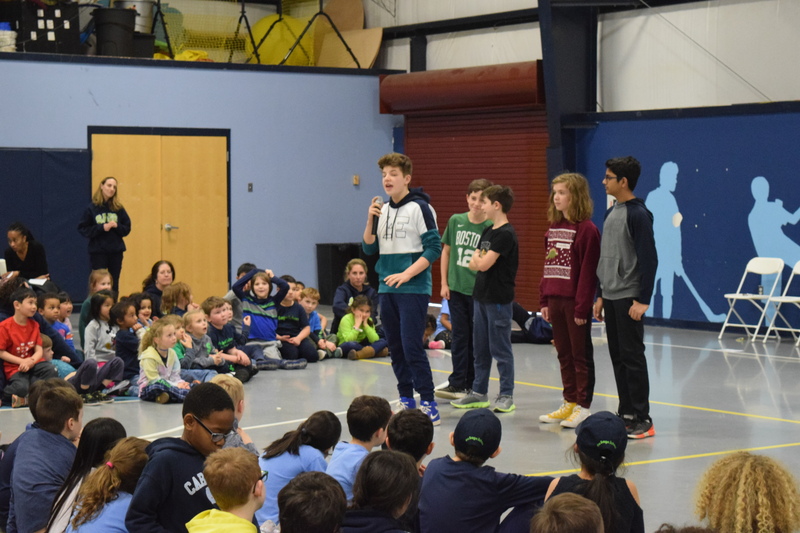 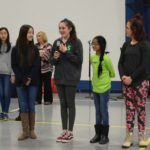 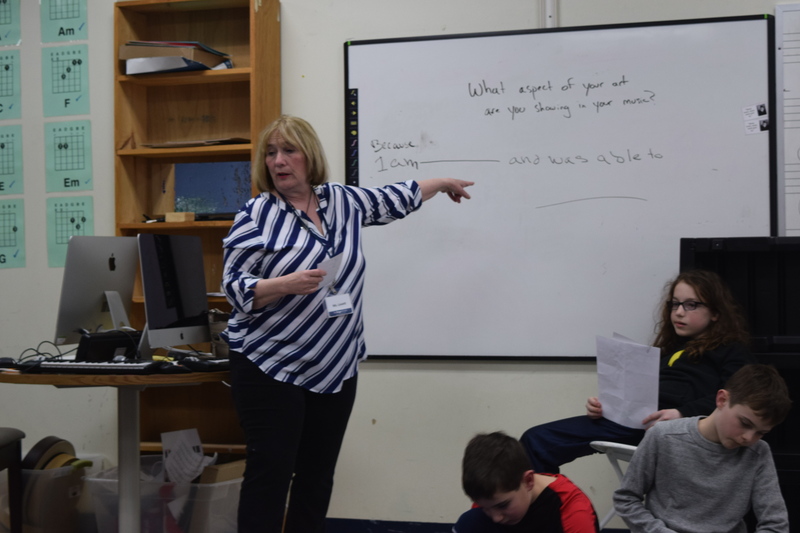 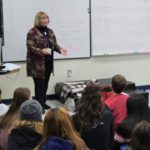 Collaborating with both the Arts and Humanities Departments, Lovett provided students a total of three workshops focused on telling, writing, and performing stories. 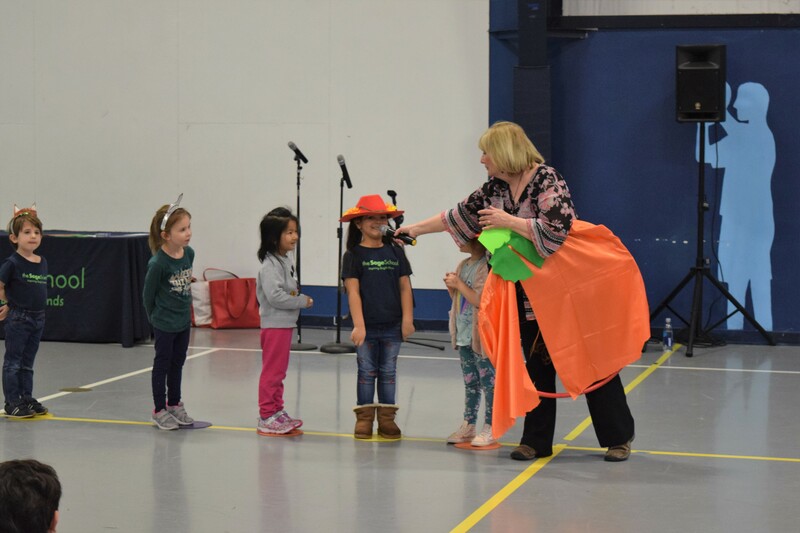 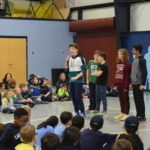 Lower School students created, wrote, and performed stories using the elements of a story. 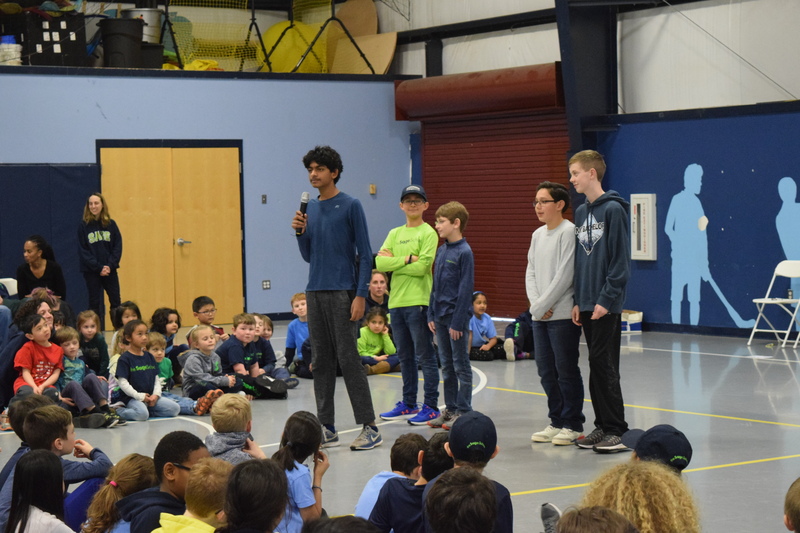 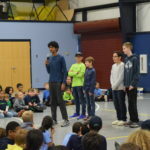 Students in the Upper School learned how to tell a personal story as well as the skills needed to perform them. 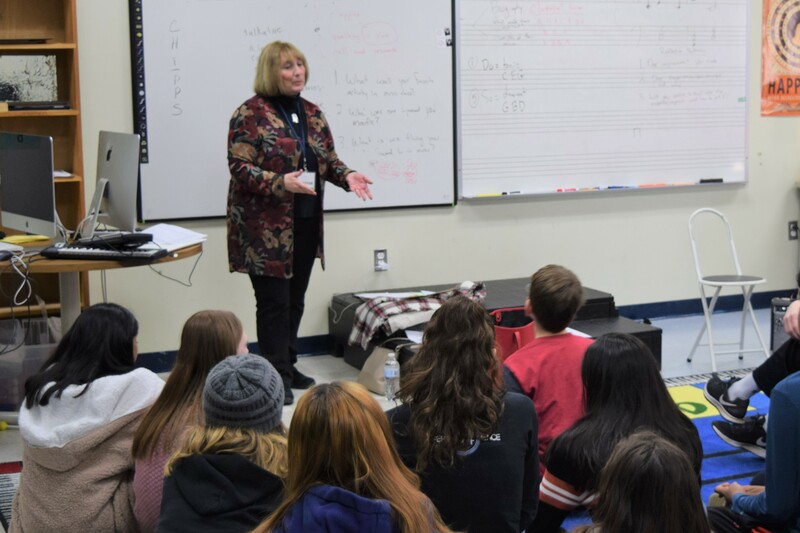 This residency was funded through the generous donations raised at last year’s Annual Fund Gala & Auction.